EA Sports Moves Tiger Woods Game Launch Date | OhGizmo! By Shane McGlaun on 05/05/09 • Leave a comment! After being on the market for a long time the Nintendo Wii is finally reaching the level of availability where you can walk into a retail store and find the console sitting on the shelves. The Wii has some great sports games like the Tiger Woods golf game that are very fun with the Wii controls. 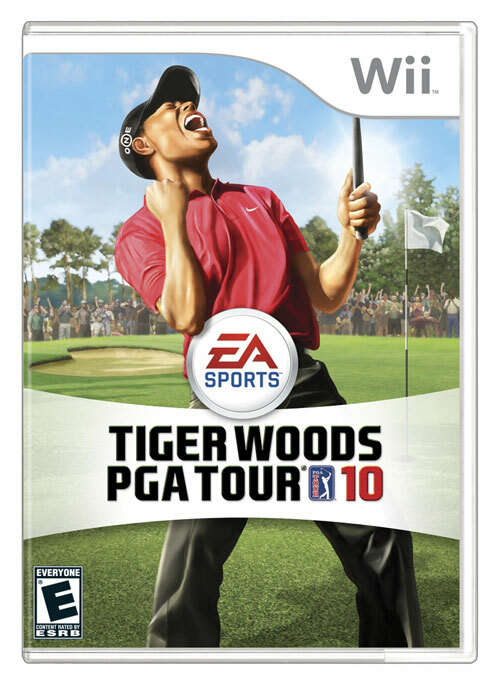 EA has announced that it is moving the launch date of the Tiger Woods PGA Tour 10 game and the Grand Slam Tennis for the Wii to June 8. Wii fanatics may recognize June 8 as the day the Wii MotionPlus accessory is set to launch. Both the EA Sports titles will be available with the game along for $49.99. However, for $10 more players can opt to buy either title in a bundle that includes the Wii MotionPlus accessory. If you want either of these sports games, that $59.99 bundle will get you about a $10 savings towards the normal retail price of the MotionPlus accessory.